Though it was a shame to see Undertaker end his career in such a lame match, what came next was perfect He put his hate and coat back on and the lights went purple while his theme played. He removed his gloves, coat and hat, neatly placing them in the center of the ring. He left, kissed Michelle McCool in the front row and posed halfway up the ramp. The mechanism he used to rise in the middle of the stage lowered him under it and the lights completely went out to the sound of gongs. Hours after the show, his gloves, coat and hat remained untouched in the ring. Overall: 7/10. 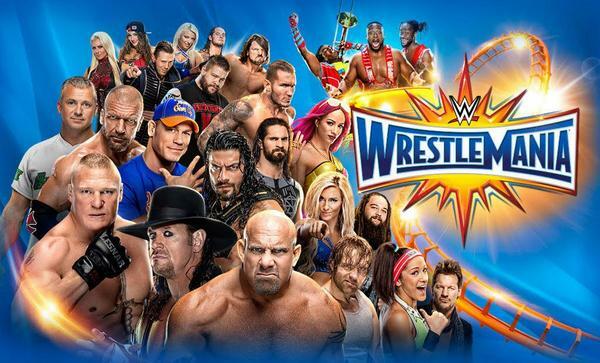 This is a hard WrestleMania to rank. If we’re judging it purely on the undercard, it’s an all-time great. Styles/Shane opened with the clear MOTN, while the Cruiserweight Title, United States Title and Raw Tag Team Titles were all great matches. Though I largely prefer Smackdown to Raw, it was the Raw brand who came up better. They had about equal women’s matches, but their midcard and top title matches were much better. They also had Tag Team Title match, which was a blast. The show had several memorable moments (the Hardys, Cena proposing, Taker’s last moments) too. However, seven hours is so damn long. It suffered from a similar issue to last year’s show and that’s how it ended. Last year we got the battle royal, the awful Rock segment and an overly long main event on an overly long show. Here, after the Tag Title match, the quality dipped. Seth/HHH disappointed, Bray/Orton was a stinker and Reigns/Taker was hard to watch. If the last section of the show was better, it would be in the argument for one of the better Manias ever. Instead, it was a good but not great show.